Rampant corruption in India is most often a topic a lot of us rant and rave about. But, we stop at ranting and don’t really do anything about it. 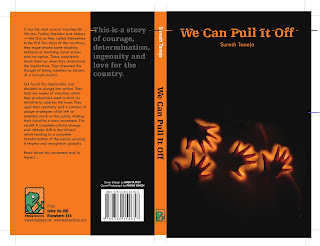 Suresh Taneja’s debut book ,”We can pull it off”published by Leadstart Publishing was apparently written to sensitize people towards dubious means of earning money and the systemic corruption that plagues our society.It was envisioned as an aid towards reducing the problem. The book starts in the year 2030 when a bunch of friends take a 6 hour flight from Delhi to Washington DC. Manisha, Akshay and Yuvika are on that flight along with their families to visit another member of their gang,Vikram,who is currently the Indian ambassador to the US. The friends call themselves G4-Gang of four.India is now the most powerful country in the world and is in a position to grant a relief package to a nation that was once a superpower.The parents of G4 were childhood friends and the families made sure that they met once every year as a tradition. During the 2030 meet,the children pester their parents to tell them all about how India became so powerful and formidable and the G4 oblige. A string of incidents that highlight the rampant corruption in the society affect G4 and their parents personally on their yearly holiday in the year 2009. This makes the G4(all teenagers then) take notice of the detrimental effects on the society at large and makes them start a revolution of sorts against the rot in the society. They start off with organizing camps in schools,colleges and the Income tax department.What starts off as a small vacation activity gains huge momentum when they are aided by a news anchor,Varsha Dutt. Soon, several school and college children pledge their support .The revolution demands that the children question the illegal ways of money-making their parents adopt and encourage children to shun the ill-begotten money. The rest of the story is about how the G4 succeed in making India one of the most developed countries of the world. Suresh talks about incidents like the Satyam fiasco and the one that took place in July 2008 in the parliament house,when MPs flashed wads of notes and accused other parties of bribery.Obviously,the passion that Suresh feels for the subject- the need for a morally-correct society free from corruption comes across clearly from the pages of the book. The ideas put forth in the book are relevant and would no doubt make an impact on young, impressionable minds, but the execution could have been better. There is a little humour,in the form of a prank-playing Yuvika and the antics of the gang and that provides the necessary relief from time to time.The tone is sometimes preachy,but then it might be written with an intention to inspire young children. The book is fast paced and is written in simple words.It could have benefited with some more editing to cull out grammatical and spelling mistakes. 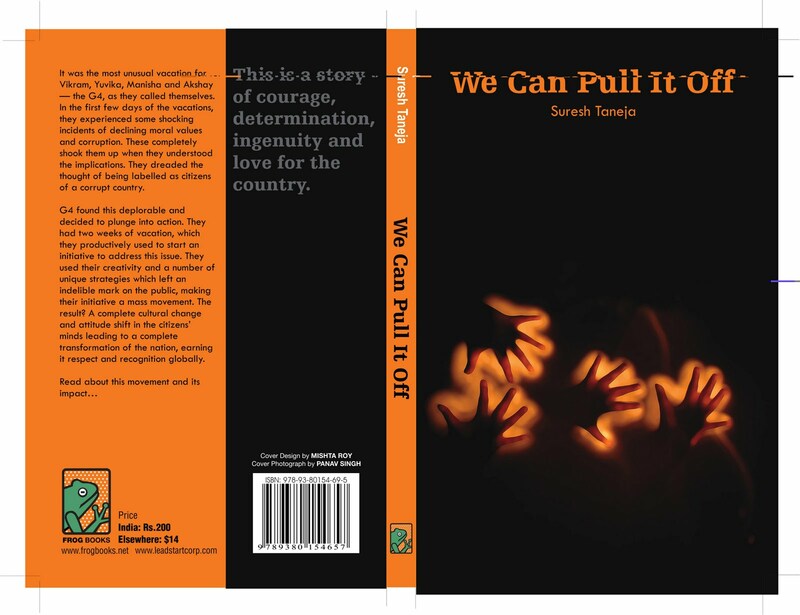 Overall an okay book written with passion and the hope for a corruption-free India, which is a noble thought.I would rate it 3/5 for making the reader not just think about socially relevant issues that are normally swept under the carpet,but also for giving some solutions and ideas to the way forward. 2/5 for execution.Overall rating - 2.5/5. A bit about the author: Suresh Taneja is a chartered accountant by profession and is employed as a CFO in a large listed company. This is his first book. The book is available online and also in book stores.